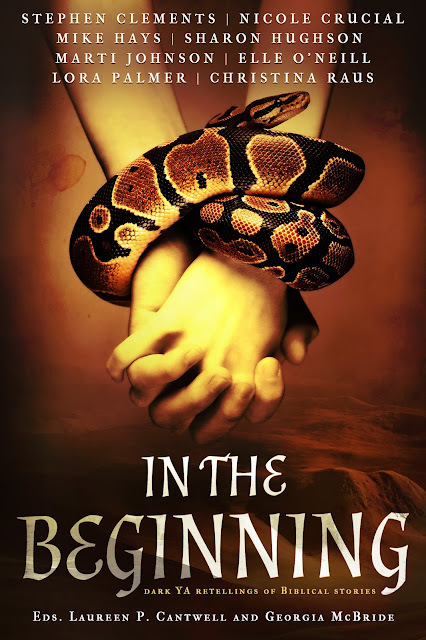 Today, Month9Books is revealing the cover and some excerpts for their Charity Anthology IN THE BEGINNING, which releases October 25, 2016! Check out the gorgeous cover and enter to be one of the first readers to receive an eGalley! Based on the story of Mary's Immaculate Conception, we enter the troubled mind of Emma, who finds herself torn between her religious upbringing and the purity ring that binds her to her boyfriend and the pregnancy that results from her relationship with another boy. Laughter rang in my ears. Sinister. It shuddered against my soul. Terror and hopelessness collided in my chest. A foreign power clutched at my mind. "Your god is a liar!” roared the wizened man in thin black robes, as he pounded his breast with his fist. Habakkuk stood by the gates of the temple as his master picked a fight with a sanctuary full of the slavish followers of Bel, a bloodthirsty demon god. A fire raged in the fanged maw of a giant, stone head sunken into the back of the temple, there to receive the offerings rendered unto Bel. He had seen this before in other temple raids with his master, though not on such a massive scale, and not at the heart of the demon cult in Babylon itself. The fire raged as the greatest offering that the Babylonians—who adored Bel above all other gods—could sacrifice to their deity was their own newborn children, rolled their screaming, helpless bodies down a stone, hand-shaped altar into the fire. They offered the fruit of their wombs to their dark god, who devoured the innocent souls sacrificed to him in eldritch rituals. 3 winners will receive an eGalley of IN THE BEGINNING. Open internationally.